A few weeks ago, I had to buy a new belt. My old one was simply on the verge of falling apart and belts are fairly rare items to come across in used clothing shops. I sometimes will buy a belt from a local department store, but I usually find that something goes wrong with a cheap belt before very long. It will start wearing very quickly, the buckle will bend or break (and bending it back just causes it to repeat again). A belt is one of the few clothing items (along with shoes) that I’m willing to pay more for to get a good, reliable one that will last for years. Anyway, my path leads me to a few different chain clothing stores that sell men’s belts. They were all fairly near each other, so I went to each store and examined the belts, looking for one that I liked. I eventually found one that suited me at J.C. Penney, so I take it up to the customer service desk to buy it. The lady behind the counter was pleasant and chatty. She told me how much she liked Nancy Sinatra, whose music was playing over the loudspeaker, and made sure I had found just what I was looking for. Now, at best, this option would have saved me a couple dollars on the belt (I don’t remember the exact purchase price, but it wasn’t an excessively overpriced belt or anything). Of course, I could have used it as an excuse to buy more items, but that would have meant spending money I didn’t really need to spend. Even worse, owning such a store credit card has its own drawbacks. I quickly told her “no” and went on my merry way. So, why didn’t I jump on this “great” opportunity? Lots of stores will encourage you to sign up for their store credit card. Often, they’ll give you some sort of bonus for doing so, usually in the form of a discount on your current purchase. As I hinted at above, there are several reasons why I don’t do this. One, the discount usually isn’t that much. If you’re spending $100, a 10% discount only saves you $10. You’ll save more by talking yourself out of just one or two of the items you’re buying. Two, the discount can often encourage you to spend more. Let’s say I’m spending $200 and that 10% discount is netting me $20. If I look at that as free money, it might convince me to go back to the racks and pick out another item. If I pick out a $22 item, my total goes right back to $200. I’m not saving anything. All I’m doing is getting a free item I didn’t really want – if I truly wanted it, I would have bought it. Three, signing up for such a card almost always puts you on a mailing list. You’ll start receiving catalogs and other materials in the mail, as well as potential phone calls from that company. Four, most such cards do not offer much of a reward after that initial bonus. Programs do vary from store to store, but many stores don’t offer a significant reward after the sign-up. 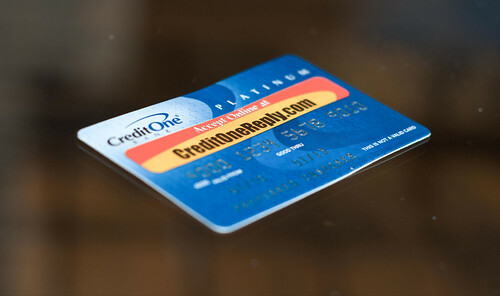 There’s not much reason to ever use the card again other than to overspend. Finally, every card you sign up for is an identity theft risk. It’s another balance you need to watch and another avenue for disturbing the peace of your credit report. All of this for a small savings? I’ll pass, and you should, too.